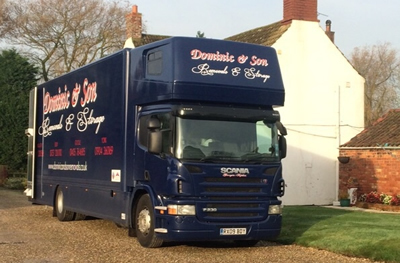 Dominic & Son Removals provide free no obligation written quotations. Our company representative will visit your property to assess your individual needs. Our representative will be happy to give you free moving advice during the visit. Your quotation will follow in the post or email for you to follow up should you wish to. We do not sell you anything in your home and also do not make nuisance follow up calls. It really is a free quote without obligation. We operate a quality, professional removals service. Removals can be scheduled to suit your personal individual requirements. Goods can be moved locally, nationally or shipped overseas. 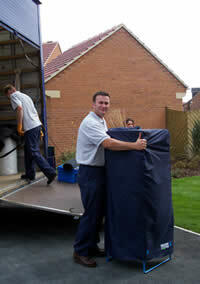 Our removal porters are fully trained and experienced in all aspects of moving. All of our staff are uniformed, polite, courteous and fully equipped to handle your move with care. Each removal vehicle is supplied to you with wardrobe rails, mattress protectors, furniture blankets and specialist sofa covers to ensure the safe transportation of your goods. We use carpet protectors and stair stick to protect floor coverings in your new and old property. We only use modern removal vehicles which are serviced and maintained to the highest possible standards.